Imagine getting faster EVERY time you hit the track - that's a common dream among drivers both starting out and trying to find the last couple tenths of a second that separates them from the leaders. Why spend more money to drive around frustrated as your lap times are seemingly stuck when you can get guaranteed results at a fraction of the cost? Stop driving around waiting for an epiphany when you can reach results the first lap you're back! Our Remote Data Analysis Consulting gives you a individualized plan tailored to you! A comprehensive data analysis report that you can understand! Report turn around as quick as a couple days, giving you the tools you need before you go into the next race weekend. A detailed plan for the next time you hit the track, allowing you to use your valuable track time more productively. Any form of racing data is accepted! 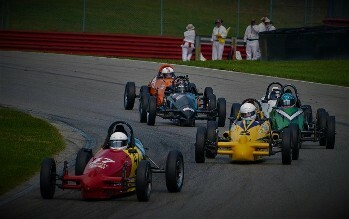 Road Racing, Dirt Oval, Karting, Motorcycle, Snowmobile and more! How does Remote Data Analysis Consulting work? Decide where you need the most help. We break our analysis down into segments (outlined below) to tailor towards your needs. 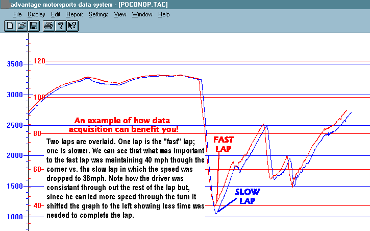 Email your data files to info@advantagemotorsports.com with your analysis selection(s) outlined below. Receive your comprehensive report as soon as the next day after your data is sent. If you have any questions about the analysis, our engineers are willing to work with you to make sure you understand it. The data experts at Advantage Motorsports started at the same place you are at. All of our experts are/were racers with at least 15 years of data driven experience. Our experience branches all the way from grassroots racing, to the national and even international playing field with many of our engineers having worked for 'big name' race teams. We know how time consuming race development can be and that is why we want to help you reach your full potential with less track time. Have a competitive event coming up that you need to step up your game for? Let us help you get to where you want to be. In the competitive racing world today, the difference between winning and losing is in all in the preparation. With our help, you can target your weakest areas to help you become a more rounded, successful driver. There is nothing worse than paying for things that you have no need for. That is why we broke down our analysis into several different programs so you only have to pay for the area of help you want.